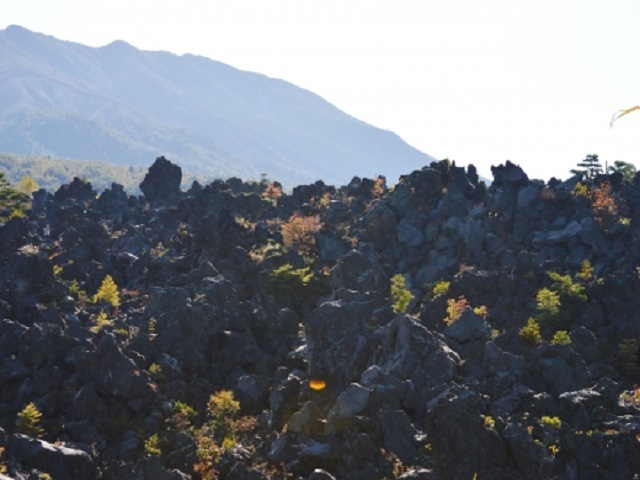 It was formed by the enormous quantity of lava flowing out of the volcano when Mount Asama erupted in 1783. People may know about the appalling energy of volcano here, it is a valuable place academically. A promenade is among the huge lava, and there are tourist facilities such a big parking lot, rest houses and shops here. 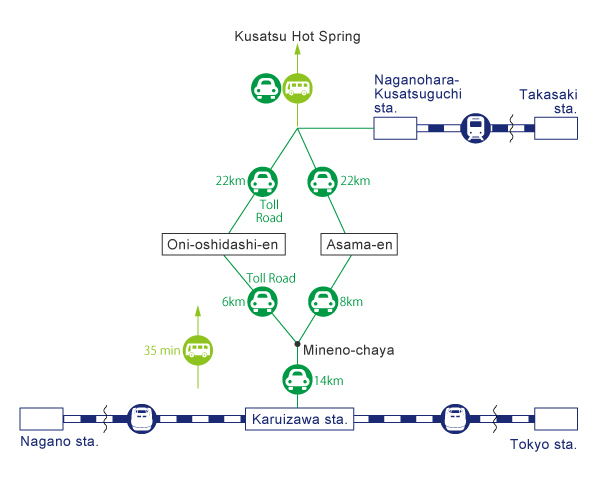 In addition, Karuizawa, as the gate of the train service, has the most number of villas and the longest history of summer resort in Japan, which is said to be the number one even now in Japan. It is a resort consisting of many old hotels and restaurants. There are two facilities in Onioshiddashi- Asama-en and the other is Onioshidashi-en. The way to get is different, and these two places is not accessible by each other. transfer a bus, 35 minutes with 1 bus service per hour. 3 hours from Tokyo Station.